Since forming and quickly signing to Fearless Records just over two years ago, The Maine have gone from strength to strength with countless tours alongside Boys Like Girls and All Time Low, as well as appearing on Warped Tour and Bamboozle. Now in 2010 the band have crossed over from Fearless to Sire Records/Warner Bros. Records to release their seconed album, 'Black & White' and with Howard Benson (My Chemical Romance, The All-American Rejects) producing, the bands ambitions to become a mainstream pop-rock band, has the potential to come to fruition. I'll say this now, if you're a fan of the bands last record and general upbeat pop-rock, you'll like this. Tracks like 'Dont Stop Now' and 'Right Girl' quickly set the tone, with John O'Callaghan's radio-friendly voiced being layered nicely over slickly produced guitars. So far its all you'd expect it to be and not alot else. 'Growing Up' and 'Every Road' momentarily gives a slightly more mature offering, one that is favourable yet at times a bit sickly. Nevertheless band hit all the right notes. With a band like The Maine you'd expect a few potential singles and 'Fuel To The Fire', 'Give It To Me' and 'Listen To Your Heart' are fine examples of this. However in the context of the record, they somewhat get lost in the shuffle and are more or less forgotten about. The same can also be said for recent single, 'Inside Of You'; its soaring chorus and safe structure will please some but like this record as a whole, its pretty forgettable. By the time its ended with 'Color', you're somewhat relived its all over. 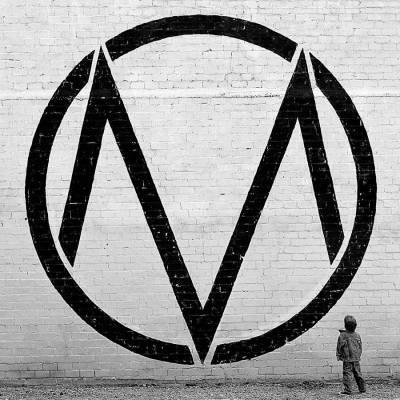 With 'Black & White' its clear The Maine are playing towards their young audience. It's a record that has decent hooks and catchy lyrics but other then that, there isn't much to shout about. Their style is played out in a safe manner and doesn't stray away, with the conclusion being that The Maine fall into the "generic pop-rock" category. One that for the most part, is far too easy to pull off, and for the listener, one that isn't too challenging to listen to. Nevertheless don't be surprised if you see The Maine reaching the success of bands like Boys Like Girls, as 'Black & White' is purposely made to push the band forward to bigger things. 'Black & White' by The Maine is available now on Sire Records/Warner Bros. Records. The Maine on Facebook, Twitter and MySpace.